The Story Bridge Climb provides the best 360-degree panoramic view of Brisbane city from the heart and soul of Brisbane’s most iconic landmark – the Story Bridge. From here - it’s climb time! 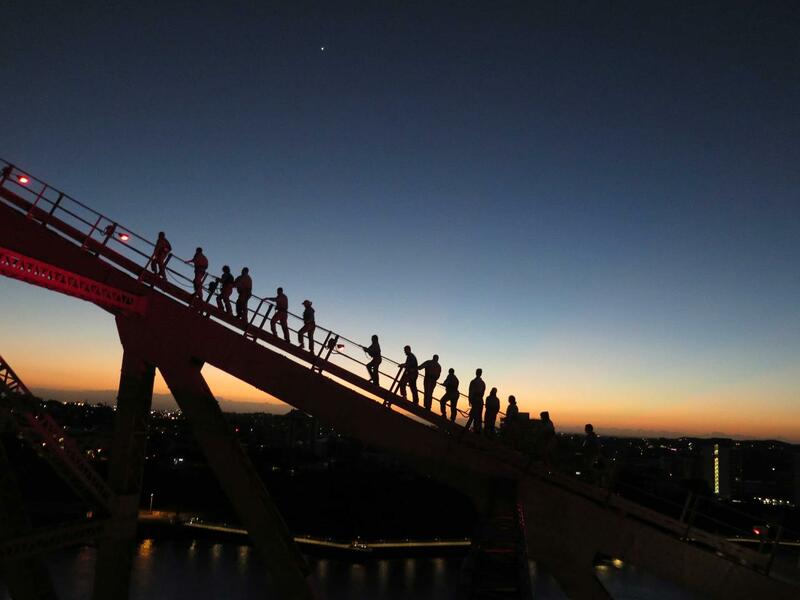 Start the climb up through the inner Eastern bridge arm, climbing level with one of Brisbane’s busiest commute points and then ascending straight up the south-eastern cantilever arm that stretches over the Brisbane River and reaches up into the sky. Before you know it you’re celebrating with your climb group on the summit platform, where you’ll get your bearings and some fun facts about the amazing 360 panoramic before you.